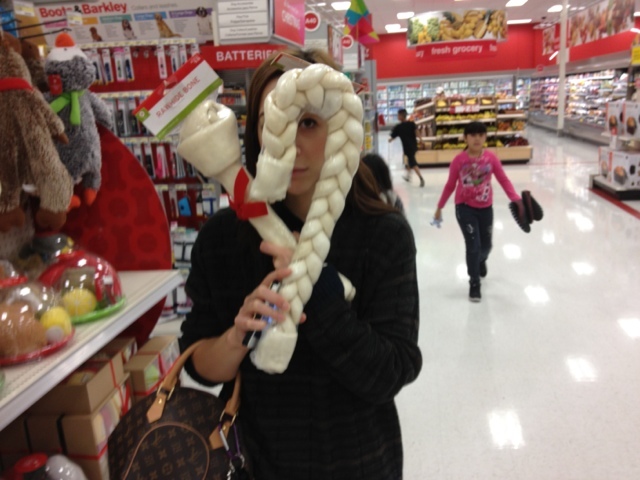 Tonight Lindsay and I went to Target and got a bunch of stuff. I made a haul about it! I'll leave that below. 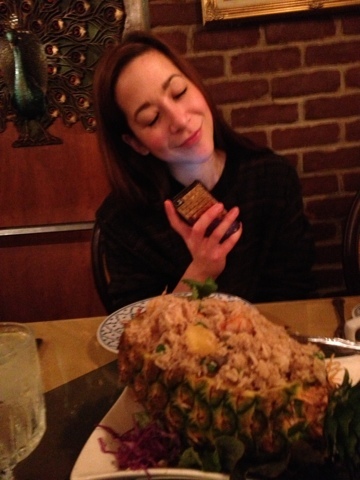 We went to this amazing thai food restaurant and shared crab rangoon and pineapple fried rice with shrimp. It was super yummy! You guys should try that! The crab rangoon has cream cheese in it which I love! It also come with this amazing dipping sauce and it's just so good! 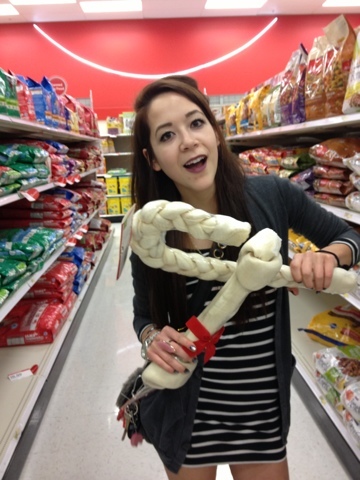 These bones were huge! 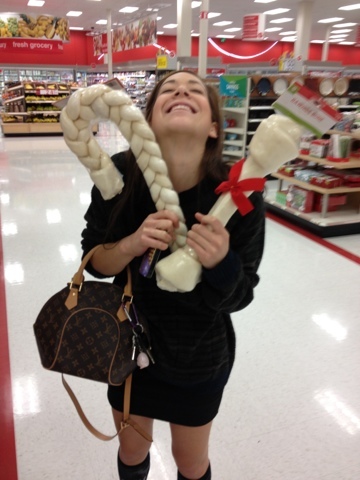 I wish I had a dog to give these bones to. 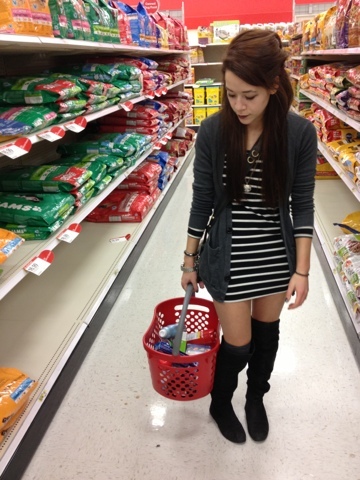 Just chilling in the dog food aisle pretending I have a dog. 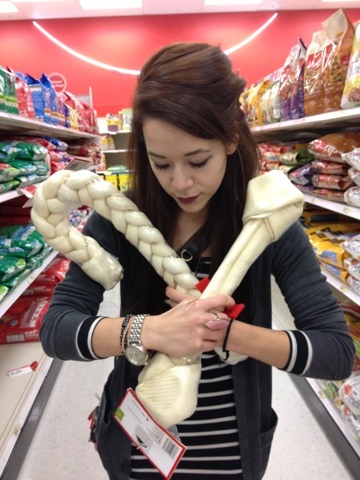 Seriously these are huge bones. 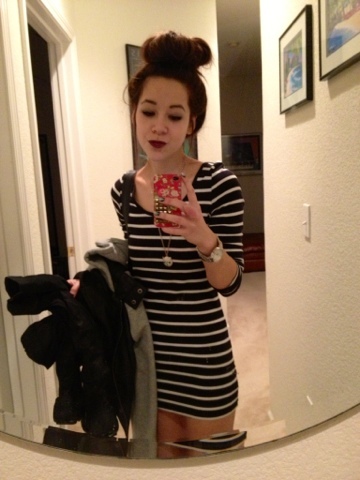 Dinner was super delish. 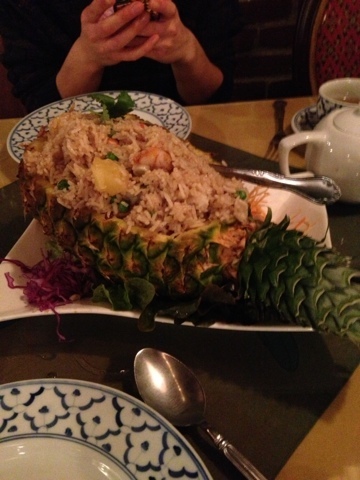 The pineapple fried rice comes in a pineapple!